Actually, it has nothing to do with luck. It’s a lot more to do with three digits that can affect all your credit applications – and your overall financial success. These three digits are known as your credit score. If you don’t know what they are, you are not alone. Although knowing how you fare when it comes to your credit health is extremely important to one’s financial success, not many Malaysians know what it is or how to check it. Up till today, consumers’ access to a credit report has not been easy. Malaysians are required to make a formal request with Bank Negara Malaysia (BNM) to get a copy of their Central Credit Reference Information System (CCRIS) report. This is a pretty big hassle and even more troubling if you don’t physically stay near the locations that provide these. CCRIS compiles credit information about a borrower or potential borrowers into standardised credit reports. These reports are checked by the financial institutions that you apply a credit facility from, to determine your credit worthiness for a loan or a credit card. Without knowing what’s in your credit report, many consumers are left in the dark as to how to improve their credit health, or why their credit card applications keep on being rejected. Even with the report though, it isn’t that much help. The CCRIS report is primarily used for banks and isn’t very easily understood by the rest of us. It’s really hard to determine what’s wrong and to what extent is your credit health in danger. 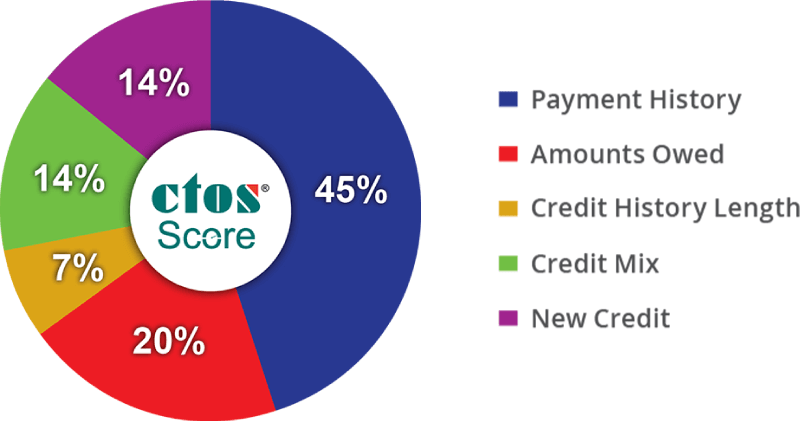 However, with the MyCTOS report compiled by CTOS, a credit reporting agency in Malaysia, consumers can check their CTOS Score and find out exactly how their credit health is fairing easily online. This makes planning for credit application easier, as you can just create and verify your account on CTOS online, and check your CTOS Score for FREE (during the promotional period). With an online account, you also check if there’s any improvements to your score from time to time. If you’ve been living without knowing what your credit score is all this while, what makes it so important now? To understand the importance of your credit score, first, you need to understand what is it and how it works. A CTOS Score is a three-digit number ranging from 300 (very bad) to 850 (very good). Prior to credit scores, financial institutions checked an applicant’s credit report to see their current credit accounts and their payment habits to determine how ‘risky’ the applicant is. Also, their definitions of risk varied from one bank to another. There was never an easy and transparent way for a consumer to tell if their credit was really healthy or not. With our credit score system implemented today, it’ll make it much easier for consumers to monitor and improve their credit standing. Right now, there’s absolutely no reason why you shouldn’t check your credit score before you apply for anything! Your credit score can make or break your financial success. It is a culmination of all the things you have done right, or wrong in your financial life. A low credit score will likely result in your credit applications rejected. If you are planning to purchase a home, you may, get a less attractive interest rates for your loan if you’re not rejected outright. 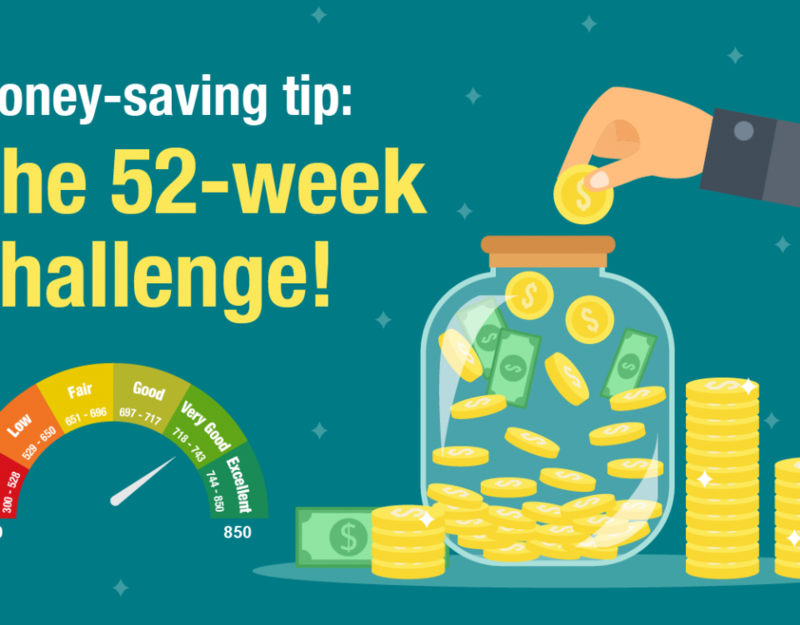 In some cases, you might be assigned a lower limit on your credit card, or be offered a lesser margin of finance if you plan to purchase a home for instance. A good credit score means you are a good paymaster and a responsible borrower, hence, the banks will be more inclined to approve your applications or give you better rates. Not being aware of your credit score before you apply for a loan could result in rejected applications, which will hurt your score further and make it even harder for you to get anything approved on your next attempt. Even if you believe you’re generally good paymaster, you can’t take it for granted. There may be people using your name to apply for products! With identity theft rife today, it becomes even more crucial for individuals to check their credit score regularly to ensure no one is using their identity to apply for credit facilities, or even to use it to set up a shady company putting all your effort to waste. These cases are not unheard of, and most people usually only find out when the creditors come knocking on their door, or worse, when they’re served a bankruptcy notice. By that time, it may be too late to get yourself out of the nasty situation. Though it’s just a single set of numbers, the credit score is actually calculated based on a number of factors to deliver the most accurate representation of your credit health. With the biggest percentage of the credit score based on one’s payment history, we cannot stress enough the importance of making regular prompt payments. Your credit report, which your credit score is based on, generally takes into consideration your loan repayment conduct in the most recent 12 months. 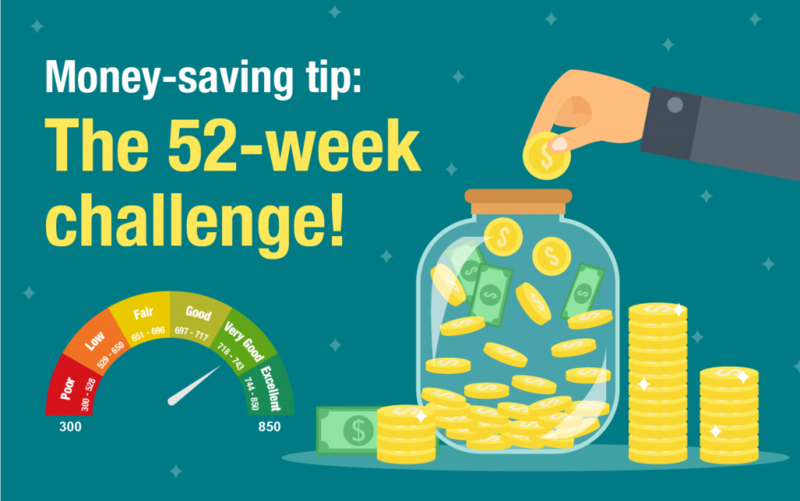 By regularly making payments on time will not just keep your score at a healthy level, it will likely save you in interest. Late credit card payments will result in higher interest rate, and late payments on your loans will rack up late penalty fees as well. Next biggest factor affecting your score is the amount owed on all your credit facilities. When a high percentage of a person’s available credit has been used, it indicates that he/she is financially overextended, and is more likely to make late or missed payments. This is especially important for credit card or overdraft, which has a credit limit. Although there is no ideal level of utilization, try to avoid hitting above 80% of your credit limit. Some experts may recommend to stay below 30% but it depends on your limit, income and usage pattern. However, as your credit score is not solely based on this, there are really no set rules but as long as you’re not too near to maxing out your credit card you should be safe. With these playing such huge factors plus your credit history being 15% of the score, being debt-free may not necessarily be a good thing for your credit score. A thin file – a file with no, or too short a credit history – will make your credit score poor or even non-existent. Banks are unlikely to lend to someone without any track record! To build a long and strong credit history, we advise consumers to get a credit card – but use it wisely – to start building their credit history as soon as they are eligible for one. How will credit score make your life easier? Credit score is a game changer for us, the consumer. For the first time in Malaysia, we have a definite and reliable way to check our credit health. This finally gives us the power to control the outcomes of our credit applications. It will also allow us to easily view our credit mistakes. Previously we only could depend on the CCRIS report but it was very hard to get to and difficult to understand. 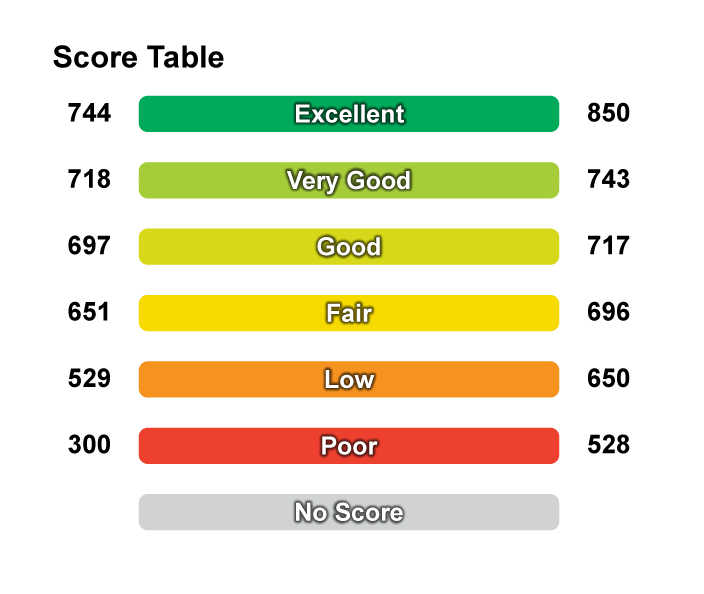 Now with credit score we have a quick view of it as well as suggestions on what needs to be fixed. With your CTOS Score, you can view the factors that are affecting your score negatively. At the same time, there are also practical tips provided on how you can improve your score based on your specific circumstances. The CTOS Score also gives you a global view of your banking loans, lets you drill down to different loan types, and reports any experience of bounced cheques and adverse records. If you think your days of getting a report card are over, you are sadly mistaken. The credit score allows you to keep track of how you are doing as an adult, at least financially. Whether you’re buying a home, a car or applying for a credit card – financial institutions want to know the risk they’re taking by lending you money. This is why your credit score is important. The higher your score is, the more likely you will be able to get credit from lenders. This makes keeping up with your credit score an important step to achieving financial success. A person with a bad credit score will likely be needing some form of credit facilities, but unfortunately, it will be very difficult for him/her to get one in his/her favour. However, the good thing about credit score is, it is dynamic. In other words, it changes over time and is computed based on your new behaviour. It is not static, but a ‘living breathing score’! This make improving much easier. Remember, your credit score will grow over time. However, it can also work the other way! The best practice is to check your credit score every three months so you can stay on top of your credit health.